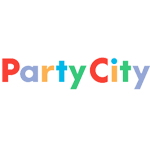 Party City, a retail chain of supply store in America, is based in the region of Rockaway Township of New Jersey. They are largest retailer, dealing with party goods across Canada and the United States. There are more than seven hundred and fifty franchise and company-owned outlets under them. The first store under the chain was inaugurated in 1986, in the region of East Hanover of New Jersey. They had a mission to set up a store where all the essential products required in arranging a party would be available under a single roof. A website of e-commerce for them was launched in 2009. There are currently 1 consumer reviews about Party City Corporation available. Share your review. Please take a note that you are about to post a public review about Party City Corporation corporate office on CorporateOffice.com. This review will be public, so please do not post any of your personal information on this website. If you would like to contact the corporate offices of Party City Corporation, please use their contact information such as their phone number, website, and address listed above to contact them. However, sometimes staff from Party City Corporation headquarters do read the reviews on this website.